Photo Credit: Reuters, U.S. court to hear arguments Tuesday on Trump's travel ban, February 6, 2017. A U.S. Federal Appeals Court will hear oral arguments on Tuesday, February 7, 2017, regarding the controversial executive order or travel ban signed by Donald Trump on January 27, 2017. 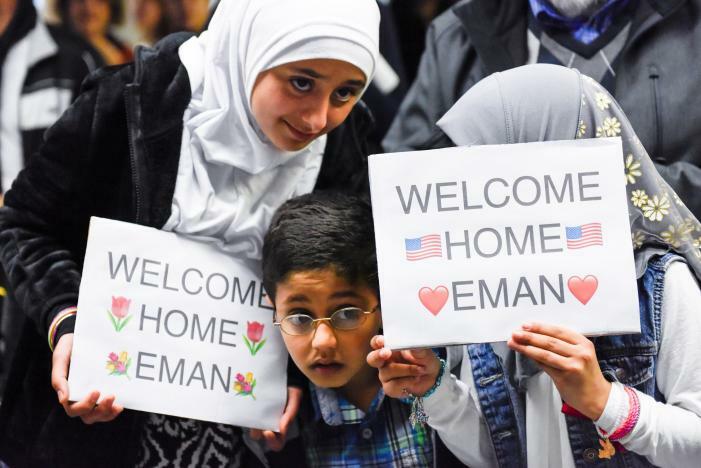 Last Friday, a U.S. district judge suspended the executive order nationwide allowing green card and valid visa holders from seven Muslim-majority countries, including Iraq, Syria, Iran, Libya, Somalia, Sudan, and Yemen, to legally enter the country. Proponents of the travel ban assert the executive order was necessary for national security and to protect the country against terrorism. In a brief filed Monday, the Justice Department asserted the judge's order suspending travel ban was too broad. The executive order or travel ban should have been limited to people who were already granted entry to the U.S. and were temporarily abroad, or to those who want to leave and return to the U.S. Opponents of the travel ban assert the executive order is an attempt to implement a religious test for entry to the United States and is unconstitutional. Further, the executive order would restrict the entry of refugees seeking asylum from war-torn countries. This case may ultimately reach the Supreme Court. Please stay tuned for up to date information regarding the travel ban. Contact your Houston Immigration Attorneys of the Holland Law Firm, PLLC at (936) 539-6882 or info@tjhollandlaw.com regarding your immigration matter. Worried About ICE Raids in Houston?